Mark Soque, a robber who raped some of his victims, has been killed in a scuffle inside the inquest office in Quezon City. Soque to many is the man who killed the Korean businesswoman after she refused to get inside a bathroom in a robbery attempt at a coffee shop in Metro Manila. Police Officer Juvy Jumuad said Soque grabbed for her service pistol at around 11pm after the inquest for his crimes had just finished. Before Soque could fire on them, the other police shot the suspect twice, killing him. Chief Inspector Rodel Marcelo, Criminal Investigation and Detection Unit (CIDU) chief of the Quezon City Police District (QCPD), said Soque probably became suicidal because he knew he could not get away from the string of criminal charges filed against him. 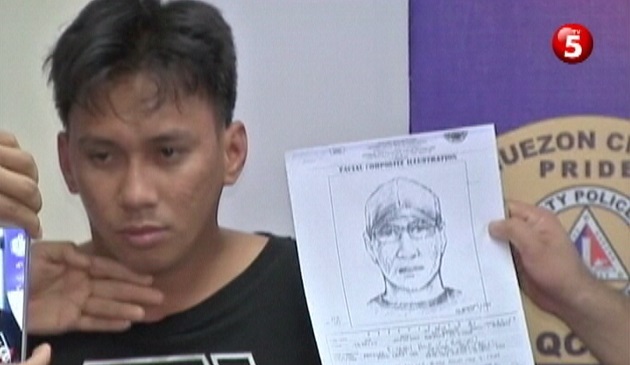 Soque became the most wanted man in Quezon City for at least eight robbery holdups of several establishments where he also raped some of his female victims and even killed a Korean business woman. Marcelo said Soque’s lookout whose name is being temporarily withheld is being hunted down.